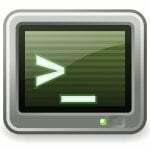 I‘ve build my own lighttpd .deb package and I do not want to upgrade it using the apt-get command. Also, I do not want to upgrade a few more packages such as php5-cgi, httpd and so on. How do I blacklist a package or packages so that when I run apt-get upgrade, it will ignore blacklisted packages and install the rest of updates under Debian or Ubuntu Linux server system? install – The package is selected for installation. hold – A package marked to be on hold is not handled by dpkg, unless forced to do that with option –force-hold. deinstall – The package is selected for deinstallation (i.e. we want to remove all files, except configuration files). purge – The package is selected to be purged (i.e. we want to remove everything from system directories, even configuration files). You need to edit a file called name.repo see, how to blacklist a package under RHEL / CentOS for more information. There’s another way to do this under Ubuntu and Debian which I like as I’m quite lazy. You have to install a package called wajig, but it’s small and doesn’t interfere. wajig can do lots of other things too, but I haven’t investigated them yet. Another option is to use equivs and add all those packages that you never want to see installed into its Conflicts: list. I suggest to use apt pinning to blacklist packages or set certain versions of a package on hold. Previous FAQ: Previous post: Linux: warning: CUPSEXT could not be loaded. Please check HPLIP installation. Ubuntu Linux – How Do I install .deb Packages? How do I see what packages are installed on Ubuntu Linux?